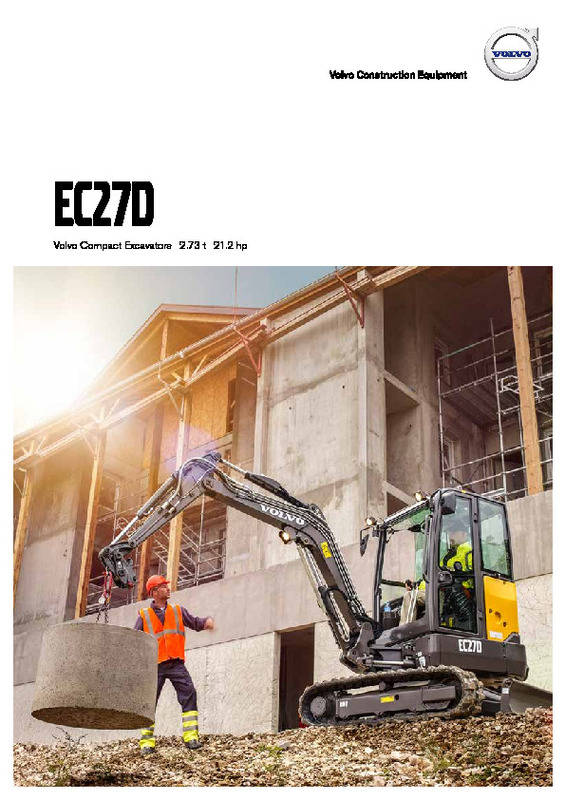 You get the best of Volvo with the EC27D Compact Excavator. The new generation engine, increased bucket power and advanced hydraulic control system are just a few of the winning solutions we’ve built in to guarantee this model’s great performance and lasting value. The EC27D’s diesel engine delivers top performance and fuel efficiency. Direct injection ensures efficient mixing within the cylinder to meet Tier4i / stage 3A standards for lower emissions, less noise on site and reduced fuel consumption. And the large fuel filler makes it quick and easy to fill from a container or pump. All of which adds up to reduced whole life operating costs. The twin speed travel motors not only maximizes fuel savings. To boost productivity. It automatically shifts from high to low speed according to the load when working on slopes, levelling or backfilling with the blade. So whatever the job in hand, the EC27D will get it done fast and smoothly for you. Volvo’s Advanced hydraulic system matches engine power to hydraulic output, giving the joystick its smooth, intuitive feel when handling any series of movements. Ideal for simultaneous slew and offset, the power-assisted controls put exactly the right balance of power, precision and speed within your grasp, with no compromise on safety. The EC27D is Ideal for ground levelling, backfilling, grading and contouring. On the one hand, its solid tractive force boosts your power to get the job done sooner. On the other, its float blade enables precision finishing with minimal effort. Pushing forward on the blade lever engages the blade cylinder to exert a minimal yet consistent down force to complete the task faster. The hydraulic quick coupler allow to change of accessories without leaving the cab. A wide range of Volvo genuine trenching and ditching buckets ensure the optimum versatility for any task you choose. The enhanced quick coupler delivers the maximum breakout force, like a dedicated quick coupler, enabling buckets to be used in face-mode position. 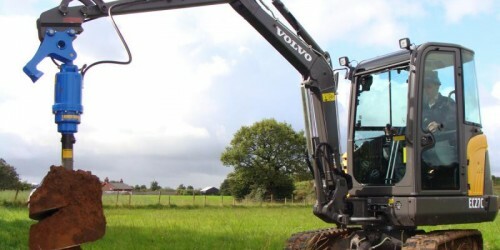 Do you need spare parts or accessories for Volvo EC27D Compact Excavator?